Manta, sharks, whales, tuna,... The encounter with these animals is always experienced as a great moment of emotion for divers. These pelagic animals, which spend most of their lives in the open sea, are not always easy to observe. It's a bit at Mother Nature's discretion and happiness is immense when you manage to share a few seconds with these emblematic animals. Sometimes you have to brave difficult conditions with currents and heavy waters, synonymous with abundant food, to make the most beautiful encounters... 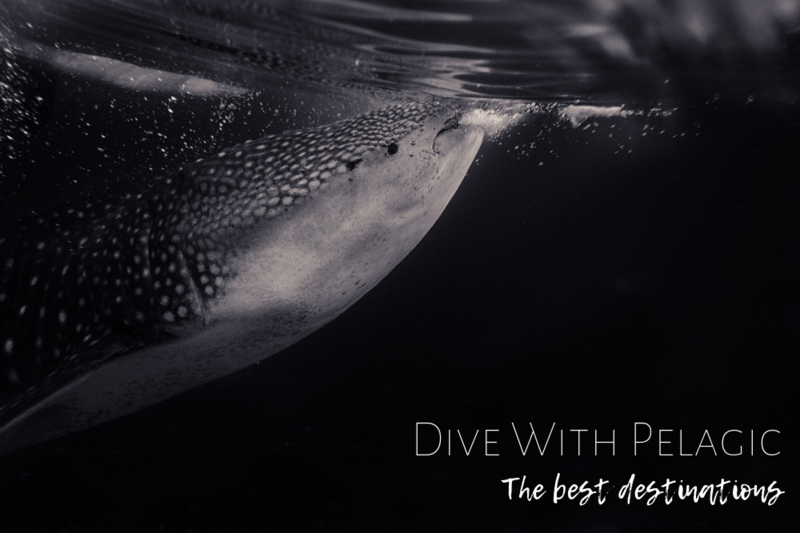 So to put all the chances on your side, here are the best destinations to dive with the pelagic ! Located in the heart of the Indian Ocean, the 26 atolls that make up the Maldives are a real paradise for divers from all over the world. With some of the most beautiful coral reefs on the planet, the warm, plankton-rich waters of the Maldives attract a phenomenal amount of pelagic wildlife. And even if the macro is very present and you can easily find a whole bunch of nudibranchs or shrimps, it is the ballet of mantas, the passage of a whale shark, or the comings and goings of reef sharks that will take the lead during your dives. If there is one place that nature and pelagic lovers want to see at least once in their lives, it is certainly in South Africa. It is one of the few places in the world where you can observe a large number of species of great sharks such as tigers, hammerheads, bullsharks or sand tiger sharks, on the now famous Aliwal Shoal reef. But above all, it is the place for a gathering that is also unique in the world, which takes place every year during the months of June and July. The sardine Run, transports you on a frantic hunt in which sharks, dolphins, whales and even birds share the feast ! The Isle of the Gods is a world-class diving destination. Balinese funds are renowned for the macro fauna that can be found there. 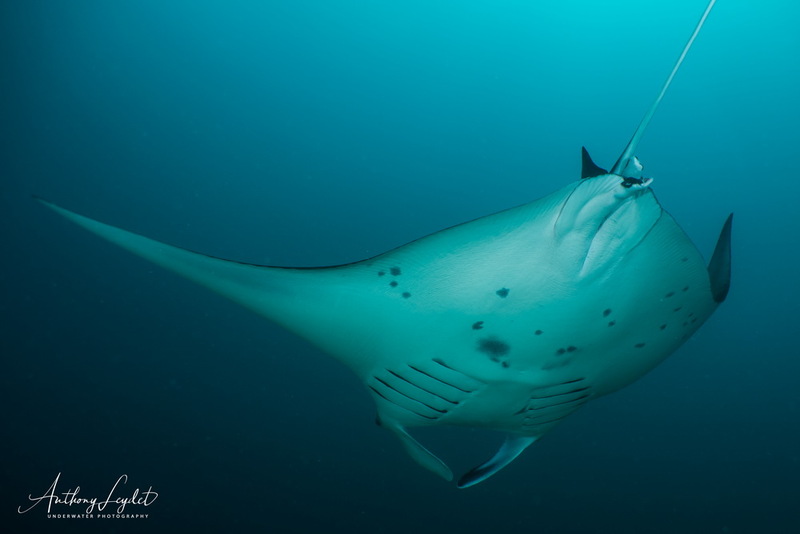 But also for its cleaning stations where manta rays are treated for parasites. It is thus possible to observe them for long minutes. It is also one of the few places in the world where you can meet the impressive moonfish... Between July and October, the water cools south of Bali, and these creatures that can reach 3m high rise to the surface in the Nusa Penida region. Diving in Polynesia is a unique experience, which we wish to each diver. It is simply one of the best places in the world to see pelagics. In Polynesia, we rarely focus on the bottom. The show takes place in the open water. Moorea lemon sharks, Tahiti tiger sharks, Fakarava grey shark wall, humpback whales or mantas.... Lovers of pelagic fauna will be served! Located in the extreme south of the Red Sea, Djibouti's very warm waters are both very rich in nutrients and influenced by currents that are often quite strong. You will have understood it, the ideal to welcome pelagics such as jacks, tunas, but especially the master of the place here, the whale shark. In autumn it is not uncommon to observe several dozen of them on very small surfaces.